To see traveler tips, photos, where to stay, and more tourist information, go to the Cairns trip itinerary maker . Brussels, Belgium to Cairns is an approximately 23.5-hour combination of train and flight. You can also fly. The time zone difference when traveling from Brussels to Cairns is 9 hours. Plan for much warmer temperatures traveling from Brussels in October, with highs in Cairns at 34°C and lows at 24°C. You'll set off for Port Douglas on the 29th (Tue). On the 30th (Wed), see some colorful creatures with a scuba or snorkeling tour. To find where to stay and tourist information, read our Port Douglas travel planner. Getting from Cairns to Port Douglas by car takes about 1.5 hours. Other options: take a bus; or take a shuttle. October in Port Douglas sees daily highs of 34°C and lows of 23°C at night. Finish your sightseeing early on the 30th (Wed) so you can drive to Mission Beach. Kick off your visit on the 31st (Thu): get a new perspective on things with Boat Tours & Water Sports, then view the masterpieces at Helen Wiltshire Gallery, and then enjoy the sand and surf at Mission Beach. To see where to stay, ratings, photos, and other tourist information, go to the Mission Beach travel planner. 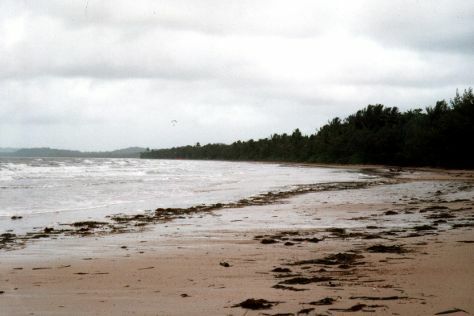 Getting from Port Douglas to Mission Beach by car takes about 3 hours. Other options: take a bus; or do a combination of shuttle and bus. Finish your sightseeing early on the 31st (Thu) to allow enough time to travel to Magnetic Island. Kick off your visit on the 1st (Fri): stroll through Geoffrey Bay, identify plant and animal life at Nelly Bay to Arcadia Trail, and then head off the coast to Magnetic Island Forts Walk. To see ratings, traveler tips, more things to do, and more tourist information, go to the Magnetic Island visit planner . Traveling by combination of car and ferry from Mission Beach to Magnetic Island takes 3.5 hours. Alternatively, you can do a combination of bus and ferry; or do a combination of train and ferry. Expect a daytime high around 34°C in October, and nighttime lows around 23°C. Wrap up your sightseeing on the 1st (Fri) early enough to ride a ferry to Townsville. 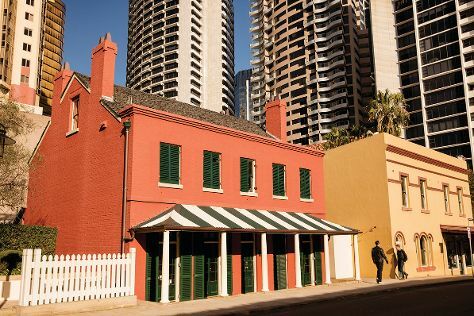 On the 2nd (Sat), view the masterpieces at The Drill Hall Studio, enjoy the sand and surf at The Strand, then take in the pleasant sights at Castle Hill, and finally steep yourself in history at National Trust Heritage Centre. For reviews, maps, where to stay, and more tourist information, use the Townsville trip itinerary tool . 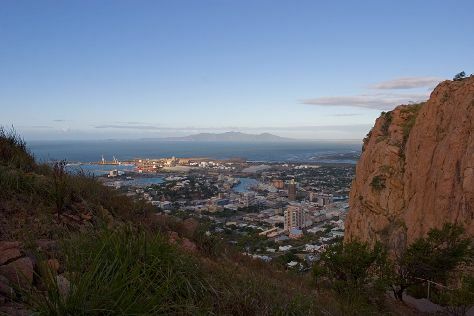 Townsville is just a stone's throw from Magnetic Island. In November, plan for daily highs up to 36°C, and evening lows to 26°C. 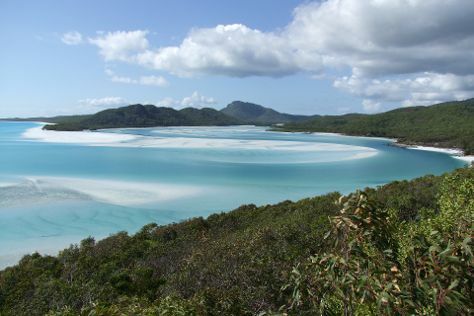 Wrap up your sightseeing on the 2nd (Sat) to allow time to take a train to Whitsunday Island. Start off your visit on the 3rd (Sun): contemplate the waterfront views at Hill Inlet and then kick back and relax at Whitehaven Beach. Plan my Whitsunday Island trip by asking Inpirock to come up with tips and suggestions. You can take a train from Townsville to Whitsunday Island in 4.5 hours. Other options are to take a bus; or fly. Plan for little chillier nights when traveling from Townsville in November since evenings lows in Whitsunday Island dip to 22°C. Cap off your sightseeing on the 3rd (Sun) early enough to travel to Brisbane. 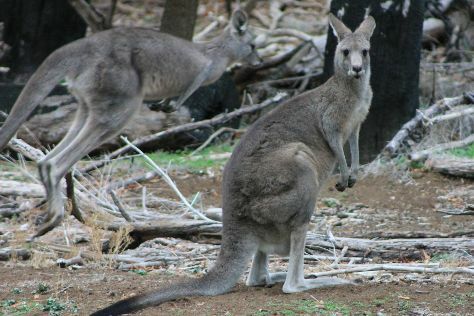 Kick off your visit on the 4th (Mon): look for all kinds of wild species at Lone Pine Koala Sanctuary, explore and take pictures at Suncorp Stadium, and then admire the natural beauty at Roma Street Parkland. For ratings, traveler tips, other places to visit, and other tourist information, use the Brisbane itinerary planner . You can fly from Whitsunday Island to Brisbane in 3.5 hours. Other options are to do a combination of bus and flight; or take a train. Traveling from Whitsunday Island in November, expect nights in Brisbane to be about the same, around 21°C, while days are a bit cooler, around 31°C. Finish your sightseeing early on the 4th (Mon) to allow enough time to drive to Gold Coast. 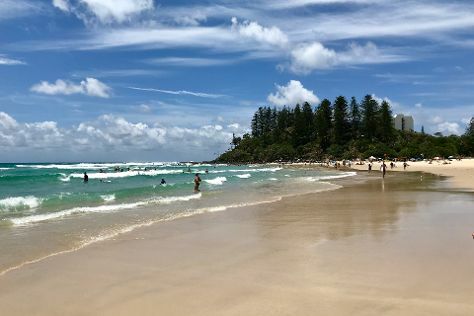 Start off your visit on the 5th (Tue): stroll through Coolangatta Beach, then enjoy the sand and surf at Burleigh Heads Beach, and then kick back and relax at Burleigh Head National Park. For maps, ratings, and more tourist information, read Gold Coast visit planner. Traveling by car from Brisbane to Gold Coast takes an hour. Alternatively, you can take a bus; or take a train. Expect a daytime high around 30°C in November, and nighttime lows around 20°C. Wrap up your sightseeing on the 5th (Tue) early enough to take a bus to Byron Bay. Kick off your visit on the 6th (Wed): get a new perspective on things with Boat Tours & Water Sports, then kick back and relax at Tallow Beach, and then tour the pleasant surroundings at Cape Byron Walking Track. To find maps, traveler tips, more things to do, and tourist information, refer to the Byron Bay trip itinerary builder tool . You can take a bus from Gold Coast to Byron Bay in an hour. Another option is to drive. November in Byron Bay sees daily highs of 32°C and lows of 18°C at night. Wrap up your sightseeing on the 6th (Wed) early enough to travel to Sydney. Start off your visit on the 7th (Thu): get to know the fascinating history of The Rocks, then see a show at Sydney Opera House, then hike along The Opera House to the Botanic Gardens Walk, and finally kick back and relax at Bondi Beach. For maps, other places to visit, more things to do, and tourist information, go to the Sydney trip maker app . You can do a combination of bus and flight from Byron Bay to Sydney in 4.5 hours. Alternatively, you can drive; or do a combination of bus and train. Expect little chillier weather when traveling from Byron Bay in November: highs in Sydney hover around 29°C, while lows dip to 19°C. Cap off your sightseeing on the 7th (Thu) early enough to go by car to Katoomba. On the 8th (Fri), admire the sheer force of Wentworth Falls, take a peaceful walk through Coachwood Glen Nature Trail, then take your sightseeing to a higher altitude at Blue Mountains, and finally take in the dramatic scenery at Bridal Veil Falls. To see reviews, maps, other places to visit, and tourist information, you can read our Katoomba road trip site . Drive from Sydney to Katoomba in 1.5 hours. Alternatively, you can take a train. In November, plan for daily highs up to 32°C, and evening lows to 17°C. Finish your sightseeing early on the 8th (Fri) to allow enough time to drive to Wollongong. Wollongong, informally referred to as "The Gong", is a seaside city located in the Illawarra region of New South Wales, Australia. On the 9th (Sat), kick back and relax at North Wollongong Beach, then take in the spiritual surroundings of Nan Tien Temple, and then enjoy the sand and surf at Port Kembla Beach. For ratings, maps, and more tourist information, go to the Wollongong trip itinerary maker . Traveling by car from Katoomba to Wollongong takes 2 hours. Alternatively, you can take a train. Expect a daytime high around 32°C in November, and nighttime lows around 15°C. 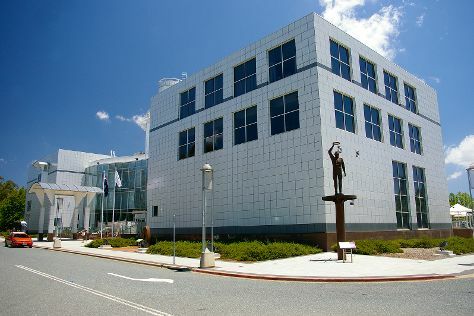 Finish up your sightseeing early on the 9th (Sat) so you can go by car to Canberra. Start off your visit on the 10th (Sun): engage your brain at Questacon, admire the masterpieces at National Portrait Gallery, and then take in the architecture and atmosphere at Greek Orthodox Church of St Nicholas. To see ratings, traveler tips, reviews, and other tourist information, read our Canberra day trip planner. You can drive from Wollongong to Canberra in 3 hours. Alternatively, you can take a bus; or do a combination of train and flight. Traveling from Wollongong in November, expect Canberra to be slightly colder, temps between 28°C and 10°C. Wrap up your sightseeing on the 10th (Sun) early enough to travel to Narooma. Narooma is a town in the Australian state of New South Wales on the far south coast. 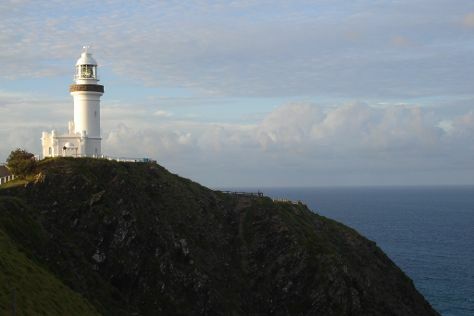 Start off your visit on the 11th (Mon): head off the coast to Montague Island, take some stellar pictures from Bar Rock Lookout and Australia Rock, and then get up close to creatures of the deep with a dolphin and whale watching tour. Plan a trip to Narooma easily and quickly by telling Inspirock to suggest an itinerary. You can drive from Canberra to Narooma in 3 hours. Expect little chillier weather when traveling from Canberra in November: highs in Narooma hover around 25°C, while lows dip to 13°C. Wrap up your sightseeing on the 11th (Mon) to allow time to travel to Eden. Start off your visit on the 12th (Tue): explore the wealth of natural beauty at Ben Boyd National Park. For ratings, photos, and tourist information, read our Eden trip planning website . You can drive from Narooma to Eden in 2 hours. In November, daily temperatures in Eden can reach 24°C, while at night they dip to 14°C. Wrap up your sightseeing on the 12th (Tue) to allow time to travel to Wilsons Promontory National Park. On the 13th (Wed), explore the striking landscape of Wilsons Promontory National Park. To see reviews, ratings, maps, and other tourist information, use the Wilsons Promontory National Park route planning site . Getting from Eden to Wilsons Promontory National Park by car takes about 6.5 hours. Other options: fly. Wrap up your sightseeing on the 13th (Wed) to allow time to travel to Warrnambool. Warrnambool is a regional centre and former port city on the south-western coast of Victoria, Australia. Start off your visit on the 14th (Thu): look for all kinds of wild species at Childer's Cove, enjoy the sand and surf at Logan's Beach, then look for all kinds of wild species at Thunder point Coastal Reserve, and finally get impressive views of Tower Hill Wildlife Reserve. To find maps, traveler tips, more things to do, and other tourist information, use the Warrnambool sightseeing planner. You can drive from Wilsons Promontory National Park to Warrnambool in 5.5 hours. Alternatively, you can fly. Cap off your sightseeing on the 14th (Thu) early enough to travel to Melbourne. 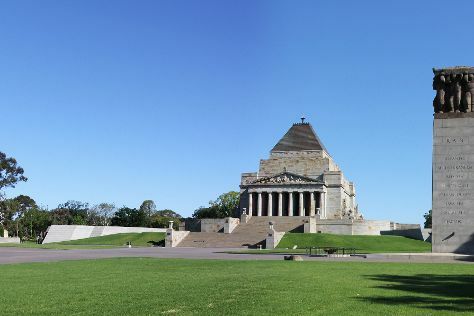 Start off your visit on the 15th (Fri): examine the collection at Melbourne Museum, then take in panoramic vistas at Eureka Skydeck 88, then brush up on your military savvy at Shrine of Remembrance, and finally tour the pleasant surroundings at St. Kilda Beach. 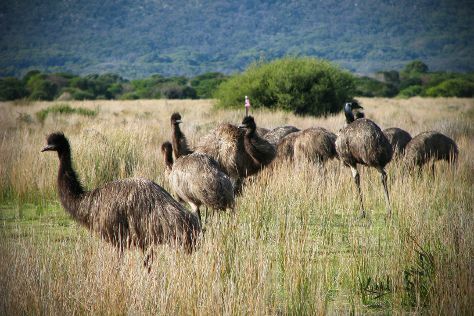 To see traveler tips, photos, and more tourist information, refer to the Melbourne road trip tool . Traveling by flight from Warrnambool to Melbourne takes 3 hours. Alternatively, you can drive; or take a train. Expect a daytime high around 26°C in November, and nighttime lows around 11°C. Finish your sightseeing early on the 15th (Fri) to allow enough time to travel back home.